Making a welcome return to the UK this week are Joe Newberry and April Verch, who will be performing as a duo in the UK for the first time. These two stellar musicians have been collaborating on this project for a couple of years and their album Going Home was released last year. 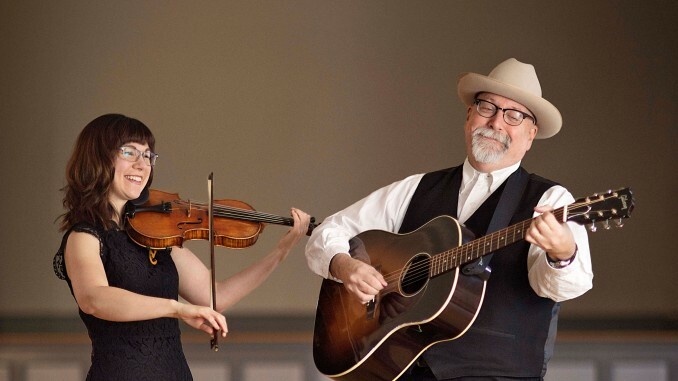 Combining Joe’s gorgeous singing and songs, lively banjo and guitar picking with April’s jaw-dropping fiddle playing and step dancing, Newberry and Verch will have your foot tapping and the next minute will move you to tears. Don’t miss this outstanding duo on their short one-week visit! Full details and links on the tour page here.